Darwin’s Data is not your typical survey panel. I am really excited to share this one with you because they offer a nice incentive just for signing up plus they pay out pretty generously for every survey you take. I have done my research and it looks like they are definitely paying. Unlike many survey panels you may be familiar with, the questions aren’t about products you use. Darwin’s Data will ask you primarily about your opinions on various legal disputes. Who can sign up to be a panelist for Darwin’s Data? You must be a US resident and at least 18 years old. You also must have a valid driver’s license or be a registered voter. How much does Darwin’s Data pay? For every survey you complete, you will receive a $25 Amazon gift code. You will also receive a $10 Amazon gift code for taking their introductory survey after signing up. Note that you do have to request an invite to sign up, so you won’t have access to this introductory survey right away. It should come via email sometime after you request your invite. I can confirm that I took the intro survey and did receive the $10 Amazon gift code a few days later. Darwin’s Data also has a rewards program for frequent survey takers called “Darwin’s Deals.” Being a part of this program means you can earn more cash (I’m assuming Amazon cash) and also sweepstakes entries. How long does it take to get your Amazon gift code? Darwin’s Data will send your gift code within two business days after you’ve completed a survey. The code will come to your email address. They are fairly long, the site says most take about an hour to complete. Also, each survey has to be completed in one sitting. You can’t take a long break and save your answers to finish later. So you may not want to begin a survey until you know that you can do it in one sitting without interruption. How do survey invitations works? Darwin’s will email you if they have a survey available that matches your profile. Note that these are first come, first serve. Each survey has a maximum number of people that may participate. If you are late accepting your invite and all spots have been filled, you’ll just have to wait for the next one. What is the feedback on Darwin’s Data so far? I have been reading only good things. They appear to pay their panelists as promised and within the two day time frame the site lists and they have overwhelmingly good feedback at Survey Police. Update 7/29/13 – Some readers have expressed concern over the fact that Darwin’s Data asks some security-type questions during their introductory survey such as “what street did you grown up on?” and “what was your Grandmother’s maiden name?” and things like that. These are typical security questions you might have to answer to get your password changed with your bank, etc. However, I emailed Darwin’s to ask them the purpose of these questions and they said it is so they can be sure the person who registered at the site is the same person taking the $25 surveys since the invites do come through email. If you answer one of the $25 surveys, you will be asked some or all of those same security questions again to be sure that your answers match what you originally put — so they can confirm it’s actually you and not anyone else taking the survey on your behalf. And a few people on my Facebook page also pointed out that it would be difficult for them to access any of your other accounts based on that information and your basic contact info alone. This is all the information I have to go on. You can always just put prefer not to answer or n/a in the security question boxes, or possibly put inaccurate information, you’ll just have to remember what you put. You will need to request an invite on the Darwin’s Data site. After that, wait for your introductory survey to come. I’m not sure how long that takes. I signed up yesterday but haven’t gotten one yet, although I probably need to check through my spam to see if it’s in there somewhere. Please note that if you are trying to access Darwin’s Data with your mobile device, you’ll probably get a page that says “Coming Soon.” So you’ll need to sign up through a non-mobile device. If you are interested in making extra money online taking paid surveys, you will want to check out my e-book that provides super detailed information on paid surveys, how they work, how they pay, and which panels to use. It is currently available at Amazon. No kindle? No worries! Amazon has a free cloud reader that lets you read ebooks on any device, including your computer. 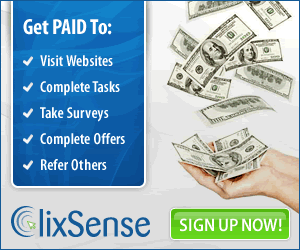 Go here to download Your Guide to Taking Paid Surveys For Extra Cash. Come and see how THOUSAND of individuals like YOU are making a LIVING online and are living their wildest dreams TODAY. So I show them a video of myself actually getting paid $500 for participating in paid surveys to set the record straight.